This recipe for Oatmeal Brulee with Ginger Cream is what I call a Real Sleeper. When I picked it out for our holiday cooking class I thought it would be very nice and something interesting to try. Oh My Gosh . . . It is fabulous! It ended up being the favorite of the entire class. This recipe makes for a great dessert or you could even fix this for Christmas morning breakfast! Let’s not waste any time and get started! • In a small saucepan, combine the cream, ginger, cinnamon stick and orange peel; bring to a boil. Reduce heat; simmer, covered, for 10 minutes. Remove from the heat; strain and discard solids. Stir in syrup and nutmeg. 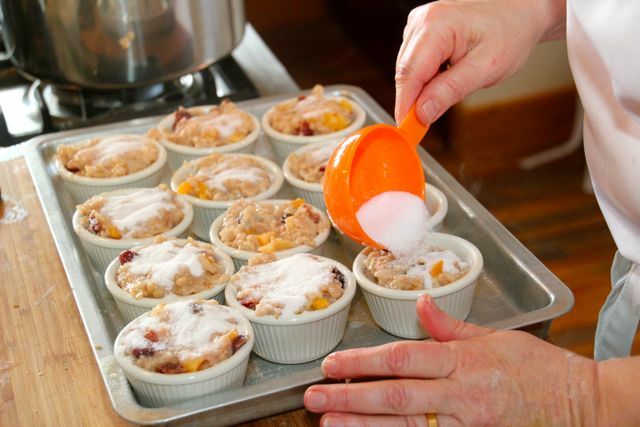 • In a large saucepan, bring water to a boil; stir in the oats, apricots, cherries and salt. Reduce heat to medium; cook for 5 minutes, stirring occasionally. Remove from the heat; stir in brown sugar and 1/4 cup ginger cream. Let stand, covered, for 2 minutes. • Grease four 10-oz. 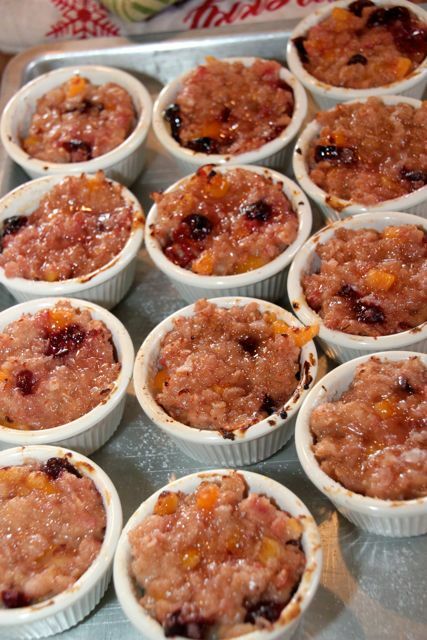 broiler-safe ramekins with butter; place on a baking sheet. 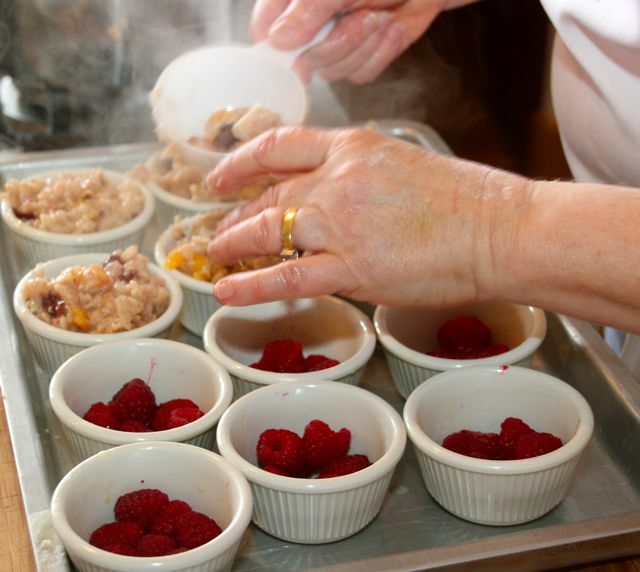 Divide raspberries among ramekins. Spoon oatmeal over raspberries; sprinkle evenly with sugar. Broil 4-6 in. from the heat for 7-9 minutes or until sugar is caramelized. Serve with remaining ginger cream. Take special time to enjoy your friends and relatives this holiday season. These recipes may help! For information about Cooking Classes at The Lark Inn or to see about spending a couple of nice nights in the Flint Hills of Kansas Visit our Website. This entry was posted on December 23, 2012, 4:42 pm and is filed under Cooking and Baking. You can follow any responses to this entry through RSS 2.0. You can leave a response, or trackback from your own site.